Its high elasticity and excellent tear strength enable easy removal, and the copper catalyst system snapsets in the mouth without staining. The lead-free formula is also safer for the patient and clinician. 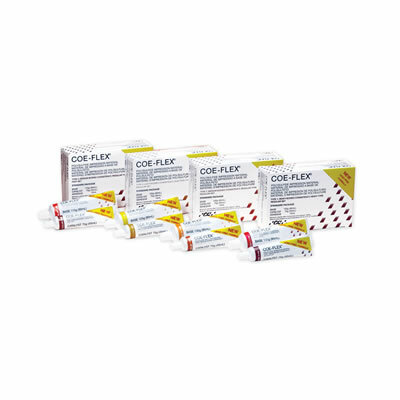 COEFLEX is offered in 3 viscosities for a variety of applications.